I don't do the Nay-A-Day project nearly as much as I used to, but these two were done specifically for events of May! Aquina was for Mermay and Roxy was for Mother's Day. 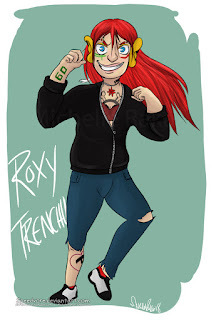 Roxy is Matoko's enthusiastic mother who is wanted for high-profile crimes in Sil. Once her husband died of a hereditary illness, she snapped and left her son in the care of her sister-in-law and ran off on her own. She's been on the run for awhile and is a wanted criminal throughout the entire World. Roxy cares deeply for Matoko, but because of her mental state, she wasn't able to raise him on her own. In fact, she's barely even kept in touch with him. Roxy feels that she doesn't deserve to be Matoko's mother after all that she's done, so she intentionally distances herself, thinking it's for the best. She's not emotionally stable, and even though she is very lonely, she doesn't want to hurt him. 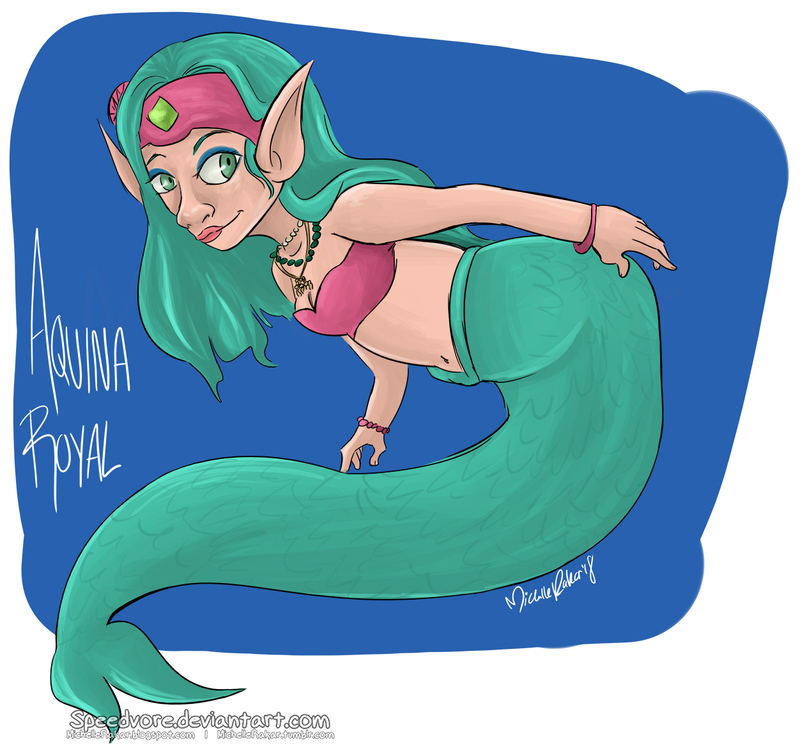 Aquina is a very talkative mermaid who can leave the water if she holds onto her Aqua Pearl. If she lets go of it, she shrivels up within minutes, so she tries not to wander off too far away from water. Aquina hates violence and is always trying to make peace. She is sometimes too needy, so Zandra slowly distances herself from her, thought they were once close friends. 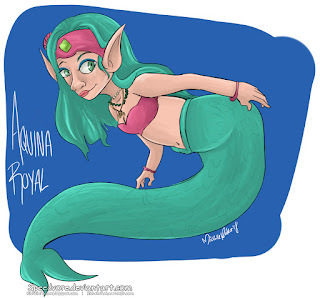 Aquina loves to swim in the ocean, and is very open to teaching her friends how to swim alongside her.